What rhymes with Saturdays? Hatter Days! Join us on Saturday, June 10th at the 20th anniversary of New Holland Brewing for a celebration full of great bands and great beers. The festival will take place on College Ave between 8th and 9th Streets, as well as in the parking lot behind the New Holland’s Pub on 8th. Admission is FREE and the fun starts at 4pm. SummerDance: it’s one of the very best things about summertime in Chicago, and we are so honored and excited to be part of it this year!!! We are working up a slew of our most danceable tunes to delight your ears and inspire your feet. 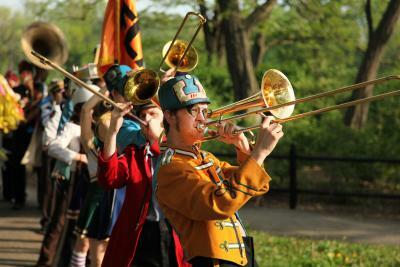 From 6-7pm, our very own Donnell Williams will offer instruction in creative marching, interpretive procession, freestyle cheerleading, disciplined abandon, advanced pomwork, dweebstep, dorkstep, chompstep, monster steps, the hip replacement waltz, the shuffleclump, and some good old-fashioned jumping up and down. Right afterward, two (2!) 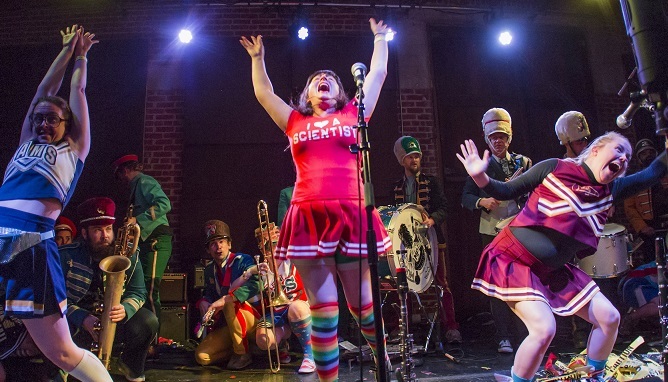 Mucca Pazza sets will provide plenty of opportunities to try out all your new moves! Bring your marching faces and your dancing feet, we’ll supply the pom-poms!!! HOORAY!!! 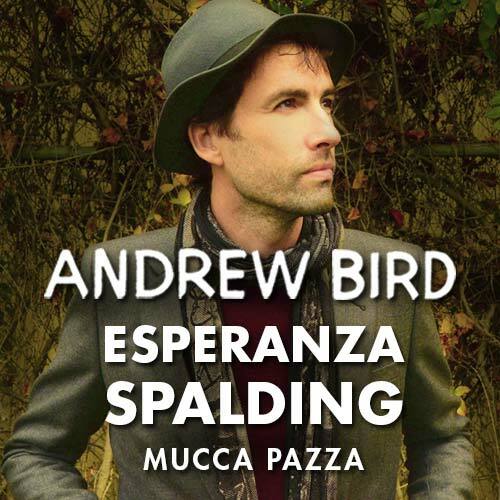 Chicago's favorite violinist/singer/wizard Andrew Bird returns to his homeland to headline Ravinia Fest and has graciously invited the dearest weirdos of Mucca Pazza to open the evening. Running, leaping, looping, laughing and beauty are all on this summer set list -- hope you can join the fun! Snacks mandatory, jumping in the lake optional.